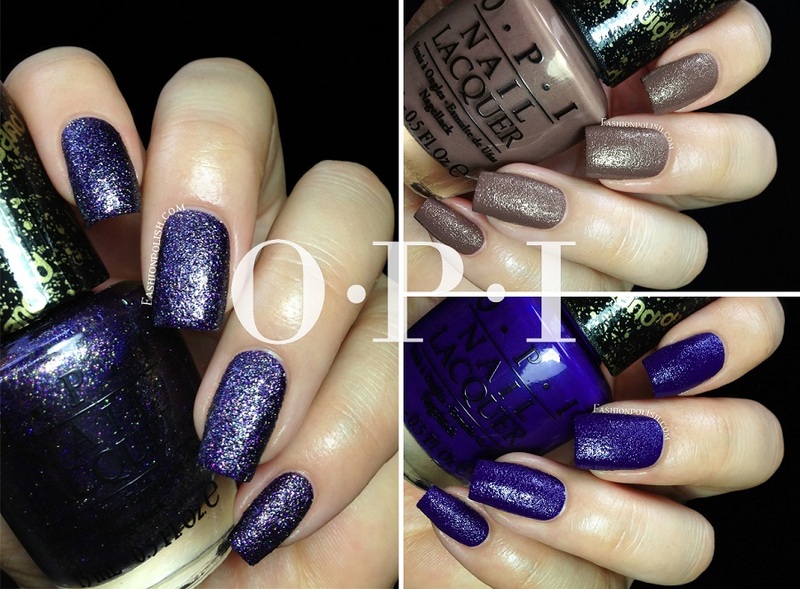 Fashion Polish: OPI San Francisco Liquid Sands swatches & review! OPI San Francisco Liquid Sands swatches & review! 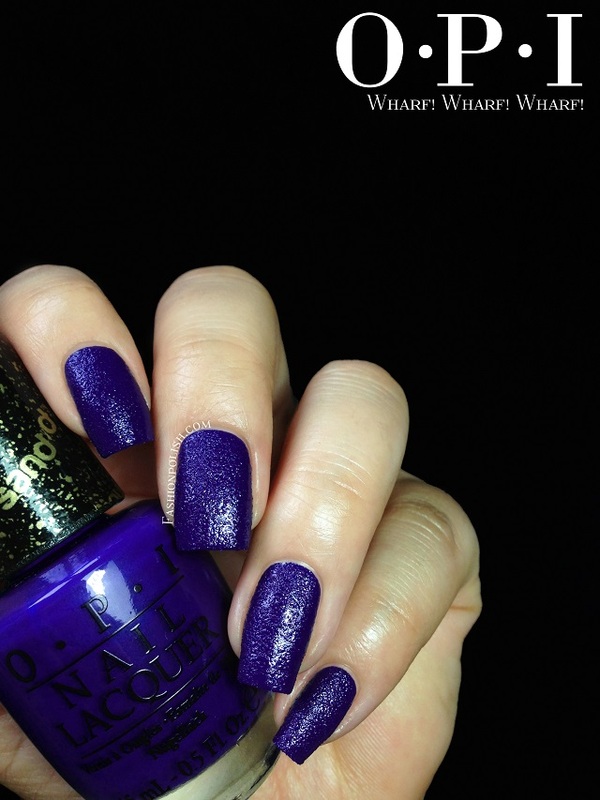 You all probably know by now that the latest OPI addition to this year's popular texture finish consists of a trio released as part of the San Francisco Fall collection. 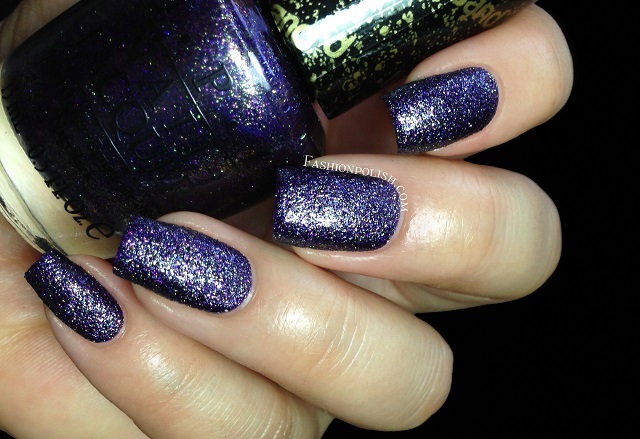 As Fall calls for deep and luxurious colors, I must admit that I was pretty excited to see them in real life! It’s all San Andreas’s Fault : medium taupe creme with a fine texture finish. 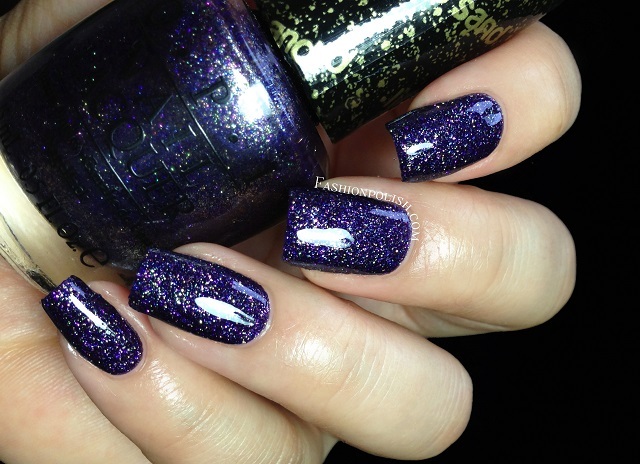 Consistency was thin and easy to work with, 2 coats for complete coverage, no topcoat. Wharf! Wharf! Wharf! : deep blue creme with a fine texture finish. 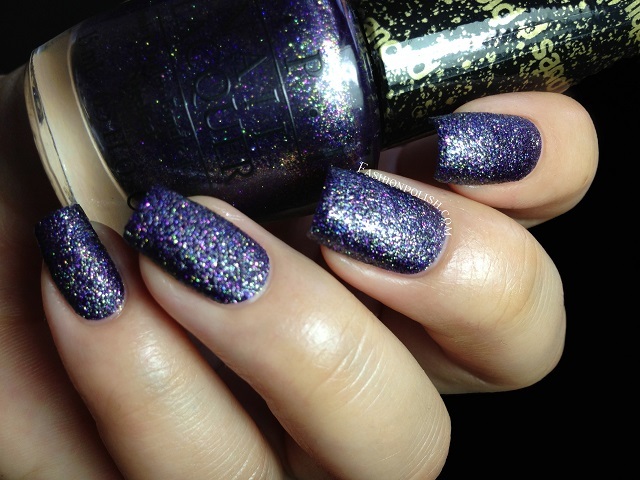 Much more pigmented but just as easy to apply, I also used 2 thin coats and no topcoat. Alcatraz... 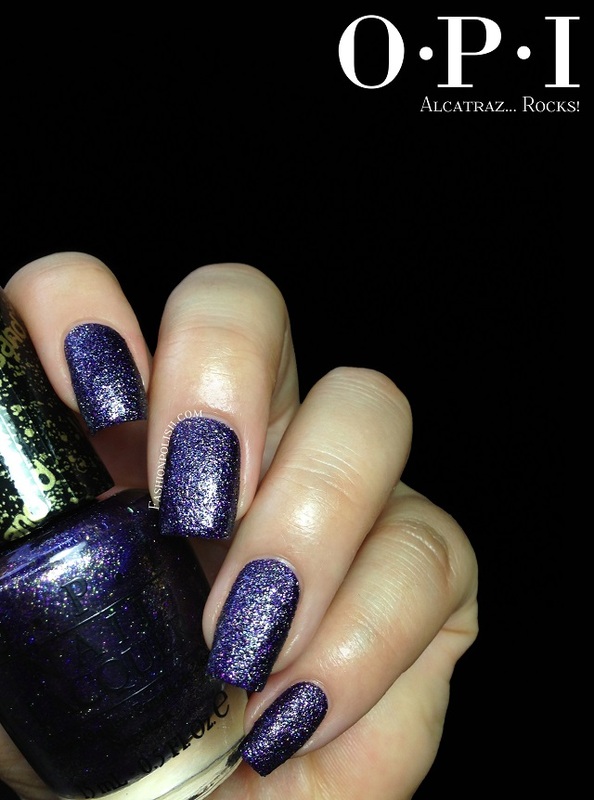 Rocks : dark blue base filed with multicolored shimmer, intense and extremely sparkly! Perfect formula, lots of control during application and an easy 2 coats coverage. Pictures below with and without topcoat. I really like the both It’s all San Andreas’s Fault and Wharf! Wharf! Wharf! base colors but I'm not completely fond of the semi-shiny texture finish. Alcatraz... Rocks however is undeniably breathtaking and an absolute must have! I had been lemming P2 Sand Style in Confidential for quite some time now and I think Alcatraz... Rocks might very well be close enough not to justify going through the hassle of trying to get it! Did you buy any of these? How do you feel about the texture finish?